The first stepp. 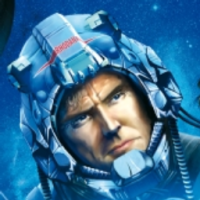 6 different races from the german SF Serie Perry Rhodan with a new intro, pics and logos BUT without ships. If I know how to create the export PNG files, the next version will include ships for evry race and a new tech tree. I know that this is a german series but you should really do the raceconfig in english because this is an American game.Not all americans can read german I really wanted to try. This to but can you re release it in english because I caint read german.